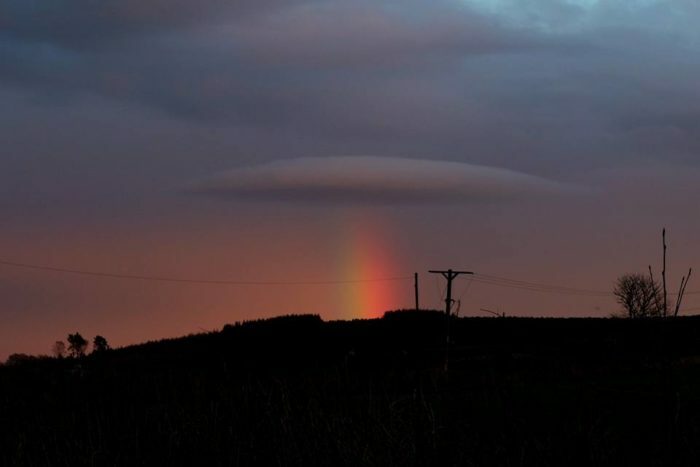 Look at these insane pictures of an unusual lenticular cloud above a rainbow captured in Scotland a few days ago. 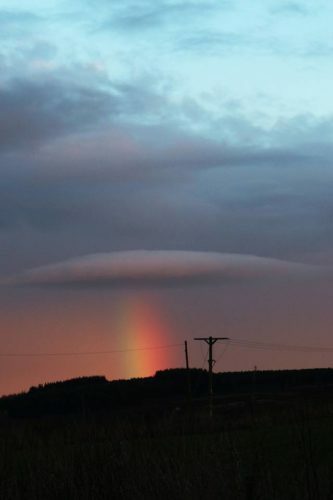 It looks like a UFO spaceship taking off back into space! It really looks like something from a sci-fi film. 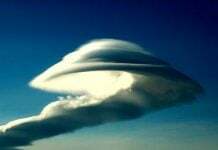 The lens-shaped clouds are called lenticular clouds. Rain or light snow above the atmosphere would have added the rainbow reflections. 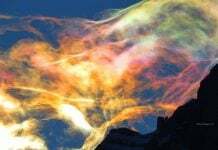 There are extreme colours. 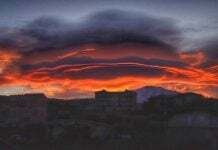 Lenticular clouds can be mistaken for UFOs. This one like a spaceship going back to space. 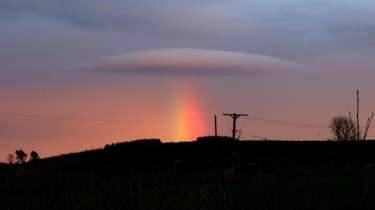 UFO or not those pics are fantastic!